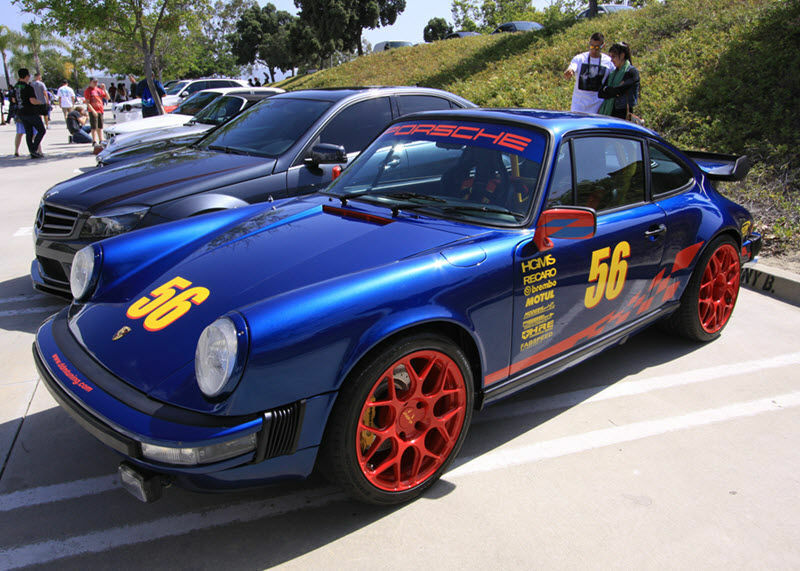 HRE Performance Wheels held its annual Open House the first Saturday in June. Since I had heard from my colleagues at Pelican Parts that HRE always has many great cars on display, I made it out to their headquarters in Vista, California. 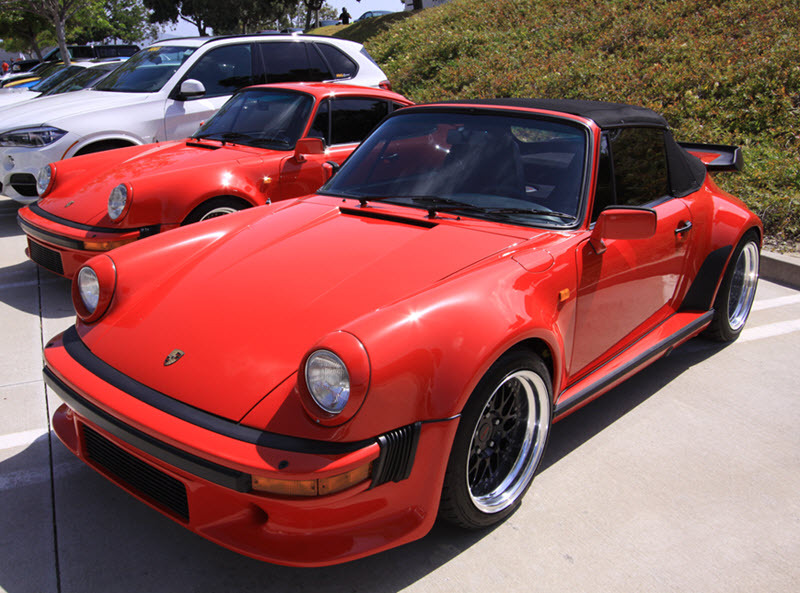 I saw every manner of Porsches, from those that were completely stock, to some that were highly customized, for car shows, to those that looked ready for road racing with full roll cages, had HRE center lock wheels and lowered suspensions. Lamborghinis abounded. Audis, both hopped-up and stock, were auspicious in their presence. 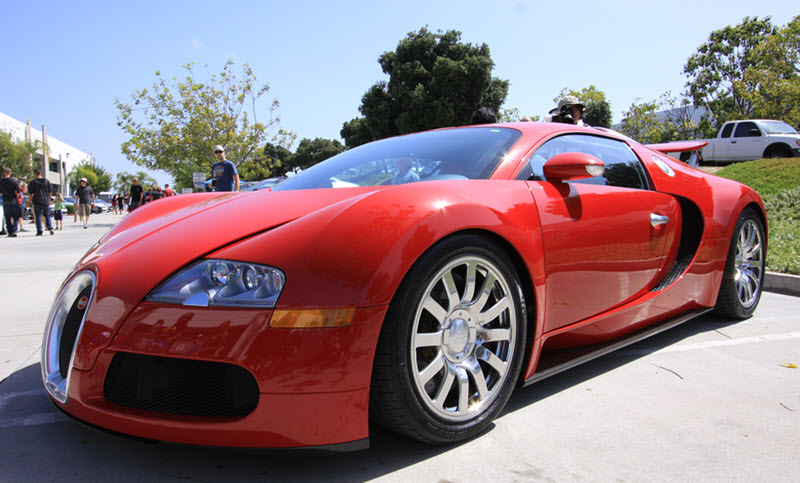 Fittingly, I found just one Bugatti Veyron. They are still quite rare and rightfully so. Several Ferraris were personal favorites of the event. 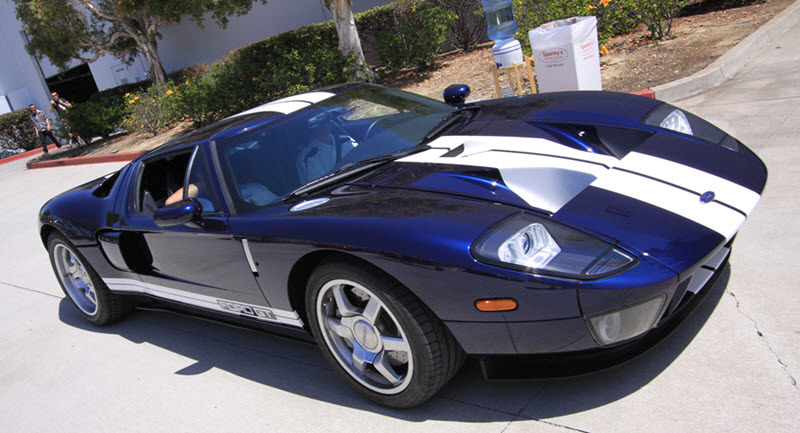 Just one Le Mans white striped over Navy Blue Ford GT was on hand. Of course, a bounty of beauteous BMWs reposed in the California sun. Many mighty Mercedes that had been customized within millimeters of their AMG badges were a big part of the scene. A cadre of Lotus Ellises looked ready to carve up any twisty country road. 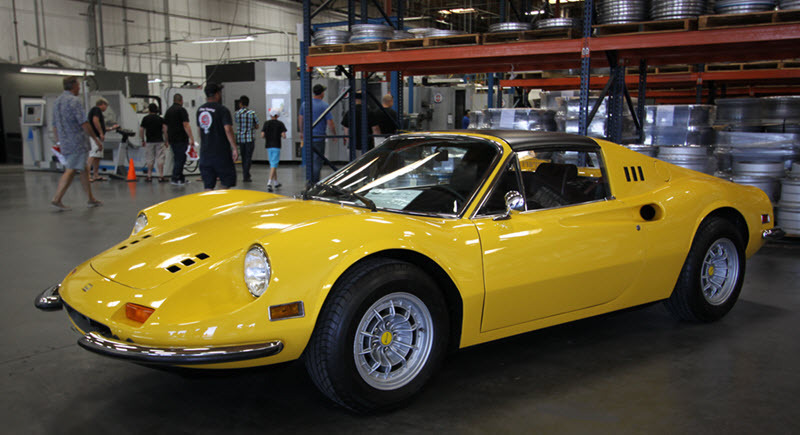 A particularly well restored Dino 246GTB in Fly Yellow captured my appreciation, while a silver Mercedes-Benz Gull Wing appeared ready to perform a hot lap at the Nurburgring. 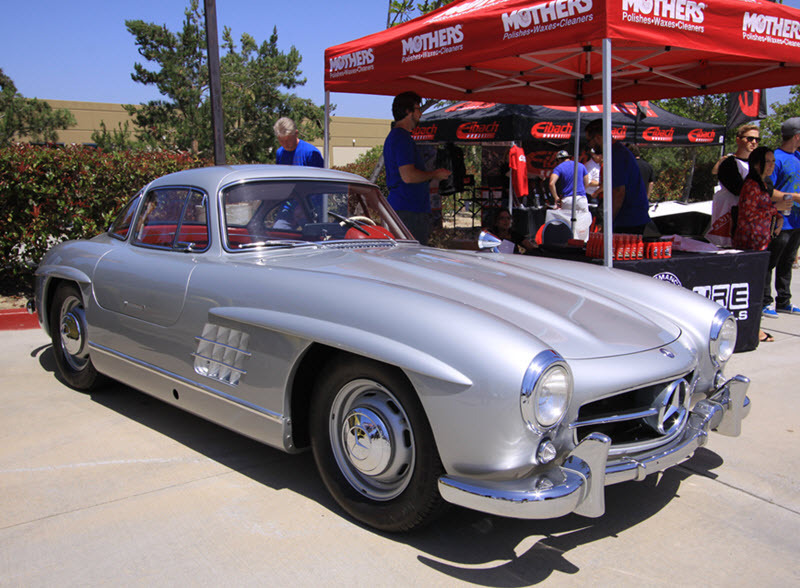 The Gull Wing was exceptionally well maintained. I’m not sure whether it had been recently restored or if it just came out of an auto museum. But it was definitely my favorite of the event. Volkswagens, a few old and most spanking new, offered a great blank canvas for the addition of the perfect set of HRE rims, some suspension mods and perhaps a bit of engine and or computer chip tweaking under the bonnet. Whether your favorite VW is a water-cooled GTI or an old split-window, air-cooled Bug, there were Volkswagens aplenty to admire and to get ideas from for customizing your own VW. Plenty of performance aftermarket companies were part of the Open House displaying must have products and services. Several food trucks were also at the event for those of us who hadn’t taken the time to get breakfast or grab lunch. None other than The Smoking Tire’s Matt Farrah was the Master of Ceremonies for this year’s event. Matt was the MC for the raffle which raised an impressive $6,500 for the Motor4Toys charity. Throughout the day, HRE’s President, Alan Peltier conducted tours of the offices and manufacturing facility. He explained to us how the one-piece and three-piece wheels are produced, which was very interesting for a DIY’er like myself. I would guess that this might be HRE’s biggest Open House ever, though I don’t know for certain since this was my first time at the event. I heard that there were over 700 show vehicles on display and more than 1,000 Open House celebrants. That sounds about right. I came away from the event wanting to work on one of my vehicles. 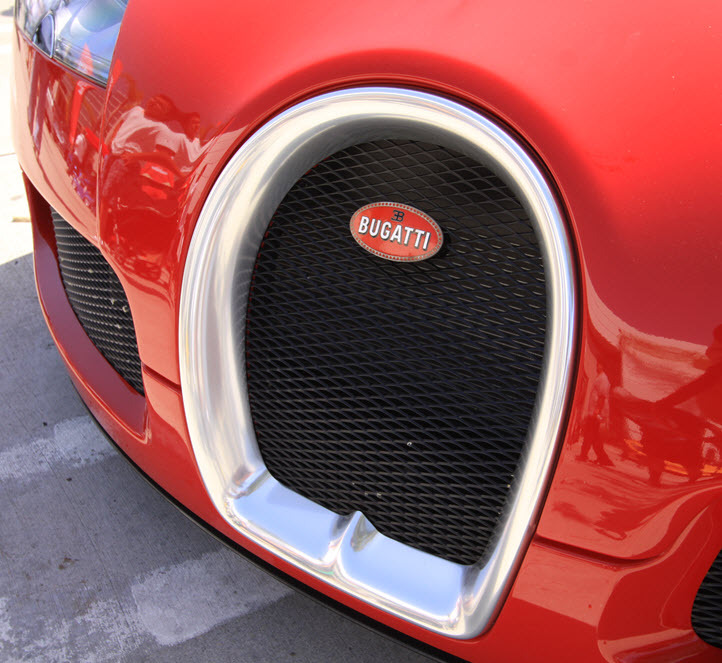 Come to think of it, why don’t you check out the photo gallery and discover some of the autos that capture your automotive interest? 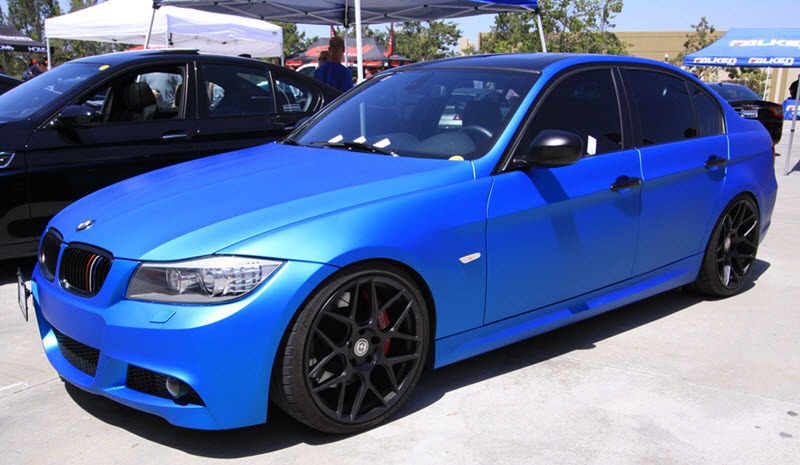 If you get inspired and want to get your European car running right and/or hopped up in your home shop, visit the Pelican Parts website Pelican Parts - Porsche Parts & BMW Parts & Mercedes Parts - Automotive Parts and Accessories - Porsche & BMW & Mercedes. You’ll likely find the parts you need and competitively priced so you won’t destroy your checkbook. What’s more, there’s bound to be a DIY how-to article or two that will show you exactly how to accomplish the task at hand and make you a hero to your European machine and maybe even your spouse for saving so much money on auto repairs.